Error 88780078 may occur on Windows computers when attempting to play audio files. This indicates that there is a bad DirectSound driver on the computer. 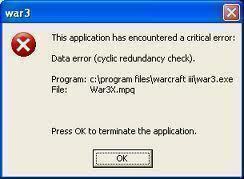 This error is most commonly associated with using WinAmp to play audio files on Windows XP, Vista, or Windows 7. Though this is the case, other audio players can also trigger this error. Step 2 – Select the “Audio” menu tab and verify the information listed under “Default Device,” found under the “Sound playback” menu label. If the current sound card is not listed in this area, re-seat the card. Step 3 – After re-seating the sound card, select “Administrative Tools” under the “Control Panel” main menu. Step 4 – Choose the “Named Services” shortcut on the subsequently displayed menu. Step 5 – Right click “Windows Audio” and choose the option to restart audio services. Step 6 – If the error persists, open the WinAmp media player and right click it to display the list of its available functions. Step 9 – Change the “Sound Card Settings” configuration in the “Output Box” and change any sound card settings that do not reflect the computer’s current sound setup. 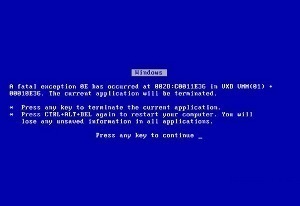 Step 10 – Select “Save” or “Ok” and error 88780078 will be corrected. 322 queries in 0.621 seconds.